Have you ever been somewhere where you wanted to listen to music on your smartphone, without using your earphones, such at the beach, camping or a hotel? 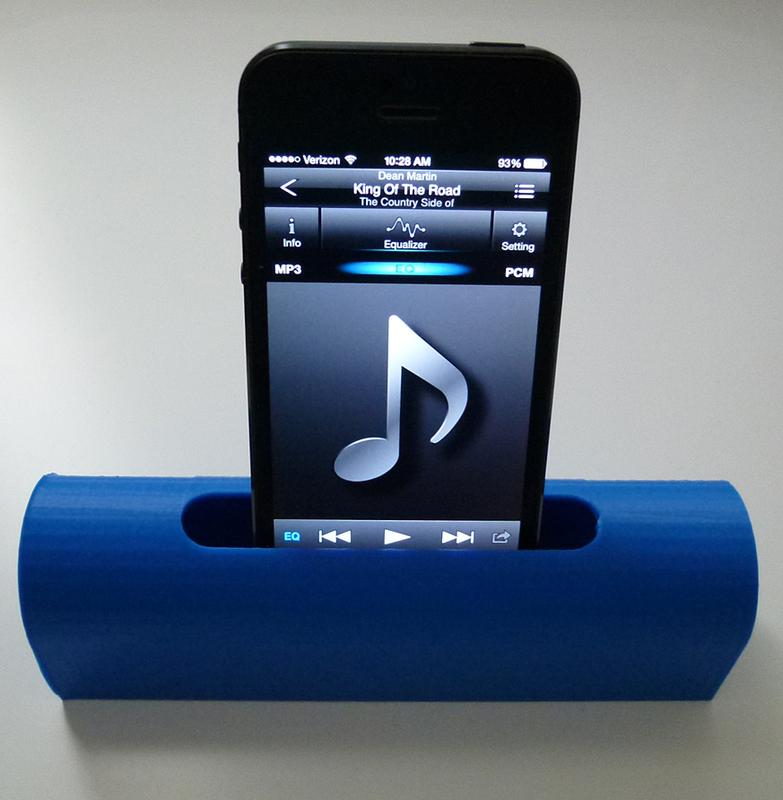 Then you should try the PowerFree Ampliphone Speaker, a portable amplification device that requires no electrical source. Most smartphone speakers only have so much fidelity and are hard to hear. By placing your smartphone in the slot at the top of the PowerFree, you will hear instant amplification of your music with enhanced deep tones. The device is very portable, measuring just 6 inches long, 1.75 inches high and 1.5 inches wide. The PowerFree is made of tough ABS Plastic and is created using 3D Printing. 3D Printing is a new technology where a 3D computer model can be turned into a physical item. If you have a 3D Printer, you can purchase and download a file (in STL format) and print it yourself. 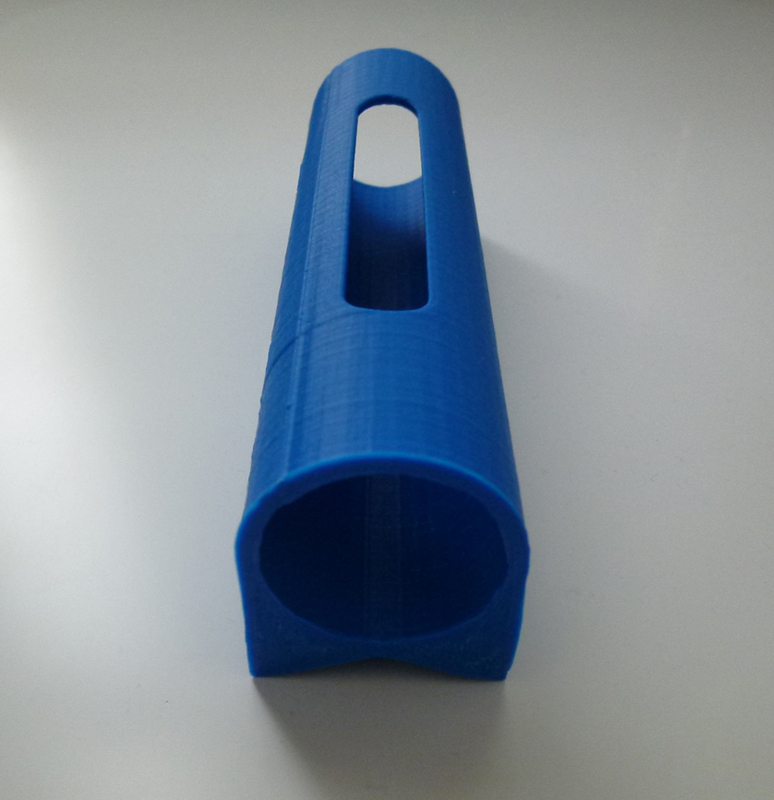 If you don't have a 3D Printer, we offer our product in several colors that we can ship to you. Additionally, you can personalize the PowerFree with someone's name or a thoughtful message. We hope you enjoy the PowerFree Ampliphone Speaker. Use this option to purchase an STL file. After you purchase the file, you will be directed to our download page. $16.95 per file. 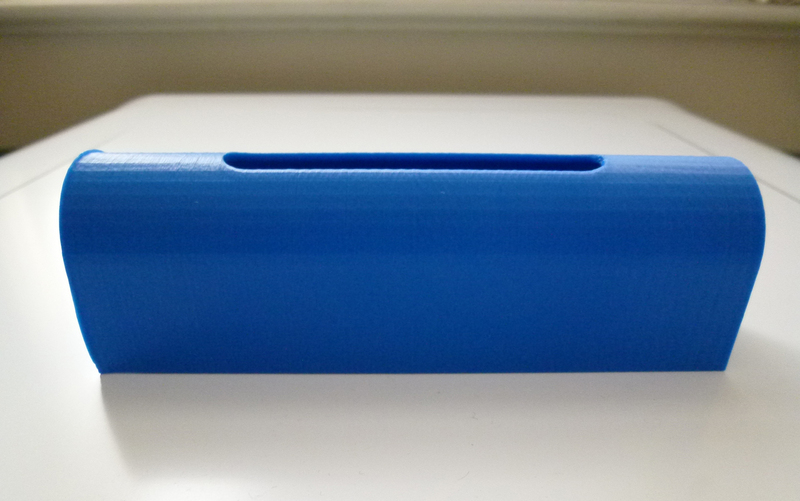 Use the button to the right to choose a print with a particular color. $25.95 plus shipping & handling. Use the button to the right to choose a print with lettering. You can choose up to 15 characters, including spaces. $29.95 plus shipping & handling.